According to James Lovelock (propounder of the Gaia theory), billions of us are about to die and by the end of the century there will only be a few breeding pairs of humans left - probably in the artic where weather conditions remain tolerable. James is clearly a glass-half-empty kind of guy, but he's not alone. Some recent book titles include The Long Emergency: surviving the converging catastrophes of the twenty-first century; Collapse: how societies choose to fail or survive; and Winds of change: weather and the destruction of civilisations. Blimey. All I'm worrying about are a couple of parking tickets and finding a new pair of shoes. Anxiety about impending doom and disaster are as old as human civilisation, but whereas ancient disasters were thought of in purely natural terms, most modern mayhem is expected to be man made. There is, seemingly, more disaster around the corner and it's all our fault. Look at your carbon footprint and weep. We are morally bankrupt and we are destroying the planet and ourselves in the process. This is great news for the other species according to the new Malthusians, who argue that the earth is overpopulated and the only solution is a radical reduction of the human population. Rubbish. This is speciesism. Humans have unique moral qualities, and regardless of this, the human population will stabilise and then fall into natural decline around the year 2050. Moreover, this moralising intellectual pessimism takes no account of our natural curiosity and imagination - the very things that will solve many, if not all, of our current problems. On balance people are good. Our natural aspiration is to improve our circumstances. Fifty years ago, a sociological study found there was a direct correlation between how society viewed the individual and prevailing political beliefs. Our current political attitude is one of fatalism. People are bad and must be stopped. Behind every door is a potential abuser, so society should impose censorship and surveillance. Individuals and groups should be protected by legislation. We already have hate crimes so how long before we have thought crimes? In the UK, any adult employee that could come into contact with children now has to be screened by the police. Guilty before proved otherwise. So the question really isn't whether human life will survive but whether our humanity will. The physical world is becoming digitised and raw data is being linked and turned into predictive models. Once upon a time our habits, values, conversations, buying habits and whereabouts remained hidden. Now they live forever in vast digital databases that, thanks to some smart mathematics, can be analysed to predict future behaviour or outcomes. For example, a company called Enologix uses algorithms to help winemakers produce wine that will score highly with the influential wine critic Robert Parker. The upside of this brave new world is that there is a whole universe of uninvented businesses waiting to be discovered. Products and services will become more tailored to our needs and things we need will seemingly pop out of nowhere as if by magic. Information (eg, news) will be personalised too so that we can read about what we want to read about and avoid everything else. The downside is that data capture and data-mining erodes our privacy. The US National Security Agency (NSA) already uses mathematical algorithms to trawl phone calls and Internet traffic looking for links and patterns to identify potential terrorists. Research firms like AC Nielsen monitor blogs on behalf of multi-national corporations to see what people are talking about. As a result, we are being turned into a series of profiles and models to help companies hire the right employees, help governments to be re-elected and help banks to sell more loans. Information feeds range from security cameras to book purchases and flight records and we are powerless to stop it - unless of course we take our lives offline, but that too is probably a trigger for a visit by the NSA. And think twice about that future MBA or accountancy qualification. One of the most sought-after qualifications in the future will be a degree in theoretical mathematics. A century ago shyness was an admired personality trait. Indeed bashful modesty and reserve may even have been the dominant type of personality. How things have changed. Today shyness is increasingly seen as a medical condition that should be treated. It is an anti-social personality disorder that needs counselling and prescription drugs. But why is this so? Why is society so ill at ease with people that aren't vocal, extroverted, gregarious, assertive and, occasionally, aggressive? Non-shyness is not only regarded as desirable but normal. Shyness is usually triggered by childhood experiences (frequent criticism, a dominant parent or sibling, family conflict or other forms of stress). It can also, according to the US-based Shyness Research Institute (seriously), be a result of society speeding-up, which does not allow people the time they sometimes need to 'warm up'. The marginalisation of shyness could also be related to the growth of what Francis Gilbert (Yob Nation) has referred to as the thuggery now endemic in institutions such as business, government and the media. In other words, the people that get ahead - and the people that are featured in the media - are increasingly Alpha males (and females). Shame, because shy people tend to be nicer, and quietness, reflection and withdrawal are often the catalysts for creativity and original thinking. According to a Pew Internet study, 53 million Americans (26% of the entire US population) know someone that has dated someone they met online. A further 63 million (31% of the population) also know someone that has looked for love online.Figures like these are behind the success of sites like Match.com, but you haven't seen anything yet. Academic researchers are developing special algorithms, sophisticated matchmaking questionnaires and data-mining techniques to predict romantic compatibility for sites like PerfectMatch, eHarmony and Chemistry (and coming soon, Google love - only joking). This works, in part, because of scale. If you have enough people visiting your site - and you have the right data-mining techniques - you can build predictive models, which deconstruct romantic love to a simple formula. This is essentially a vast social experiment and it will be fascinating to see how it evolves. Some sites have already discovered that people place too much emphasis on similarity and that success depends on the right balance of similarity and difference. Successful relationships are the ones that are complimentary in the sense of balancing out differences. 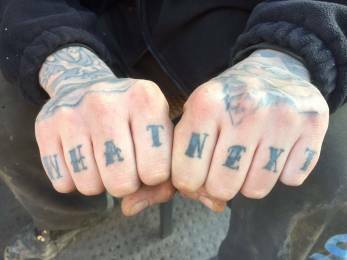 So What's next? In the future dating sites will test compatibility through the use of computer-simulated scenarios. How do you perform in a bar versus a dinner party and what happens when you alter the variables?This won't happen overnight. It could take decades to work out whether a sociological, anthropological or psychological model works best but the hunt for true love has certainly begun. A statistical study of murders in New York City has highlighted some interesting trends. The study, covering all 1622 murders that occurred between 2003-2005, found that men (including boys) were responsible for 93% of all murders. Victims tended to be other men and boys and in more than 50% of cases the attacker and the victim knew each other. 75% of victims and offenders were also of the same race. 90% of killers and 50% of victims had criminal records. In other words, Joe Average has very little chance of being randomly killed in New York City. The most likely time to be killed is between 1am-2am and children are usually killed by a parent. Age 10 is the safest age for kids because they tend to be too old to be abused or neglected and too young to get caught up in violence on the street. The most alarming crime trend is that 25% of murders are now committed by complete strangers, usually due to a dispute of some kind. This is up 50% on 50 years ago. As for why (and why the overall murder rate is declining), the answer is social factors. Crime is generally a result of local poverty, family disruption, poor schools and a lack of recreational or work opportunities. A survey by Duke University (US) has found that single men and women with heart disease that lack close friends are more than 300% more likely to die within five years than those who are married or have a close networks of friends. Another study, from Yale University, found that men and women that said they were loved had significantly less blockages in their coronary arteries than those who said they were not. So here's the provocative idea. Our connections with other people are more important to our health than medicine. In other words, love and intimacy (or the lack of it) are the most fundamental cause of what makes us sick or well. For example, when people are feeling lonely, depressed or emotionally anxious they take refuge in food, alcohol and drugs which can in turn lead to sickness and premature death. This in turn raises the question of whether a society that encourages individualism, selfishness and hostility is literally killing us? One solution, apart from love and friendship, is apparently laughter. According to research by the University of Maryland Medical School (US), watching a funny film for 45-minutes has a similar effect as going to the gym for the same period. In Australia emergency calls made from mobile phones have jumped from 34% to 64% of all received emergency calls. Unfortunately these 6 million calls are not automatically linked with a physical location - slowing response times - so mobile phones are quite literally helping to kill people. This is not a problem in countries like the US where cell-phone call tracing is a mandatory requirement, although the growth in VoIP calls could become similarly problematic.Meanwhile, a trend known as place tagging (using mobile phones) is taking off. Place tagging is essentially pinning a fixed location to a piece of data that is found on the Internet. In other words, the web is becoming geospatial. This means that you can receive messages that are specifically relevant to your current location. Uses of location tagging obviously include advertising messages and social networking.